If you work in a maritime environment and have been injured on the job, we highly recommend having an attorney look at your potential claims. The maritime law lawyers at the Law Offices of Richard J. Plezia & Associates are experienced in maritime law and know how to recover the damages that you deserve. 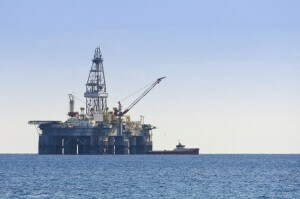 There are numerous maritime jobs that will qualify you for maritime injury compensation. Working on or around ships, maritime vessels, cruise boats, and harbors are just a few examples. What Damages Apply To Me? These regulations provide for compensation that can help pay for medical bills, room and board, and lost wages. They cover a wide variety of injuries and accident causes. Keep your employer from taking advantage of you. Answer your questions throughout the process. Represent your interests and ensure that you are fairly compensated. Maritime law is complex, and we have the answers to your questions. The process can be full of roadblocks and delays, but our attorneys can help you navigate the complexities to obtain fair compensation. How Soon Do I Need A Maritime Attorney? Right away. Richard J. Plezia & Associates can be reached at 1-800-428-1853. Our attorneys can listen to your case and give you an honest evaluation. The sooner you call maritime lawyer Rick Plezia, the faster you can get the compensation you need to recover physically and financially.